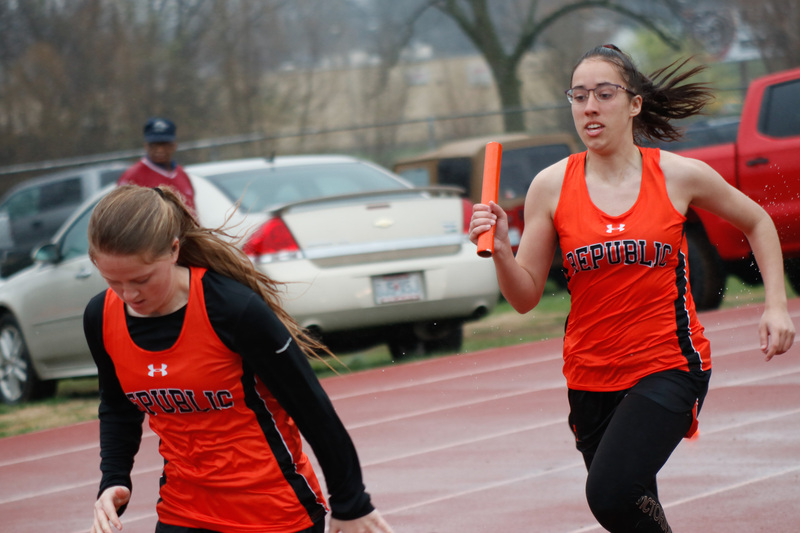 Republic’s 4x800m relay team of Delaney Smith, Jazzy Kirby, Jade Kirby, and Jasmyn Douglas finished 3rd (10:16.91). Jasmyn Douglas finished 7th in the 400m dash (1:01.90). The 4x400m relay team of Smith, Lawson Tunnell, Jazzy Kirby, and Douglas finished 7th (4:22.50). Aailiyah Vasquez took 8th in the triple jump (31′ 5.5″).